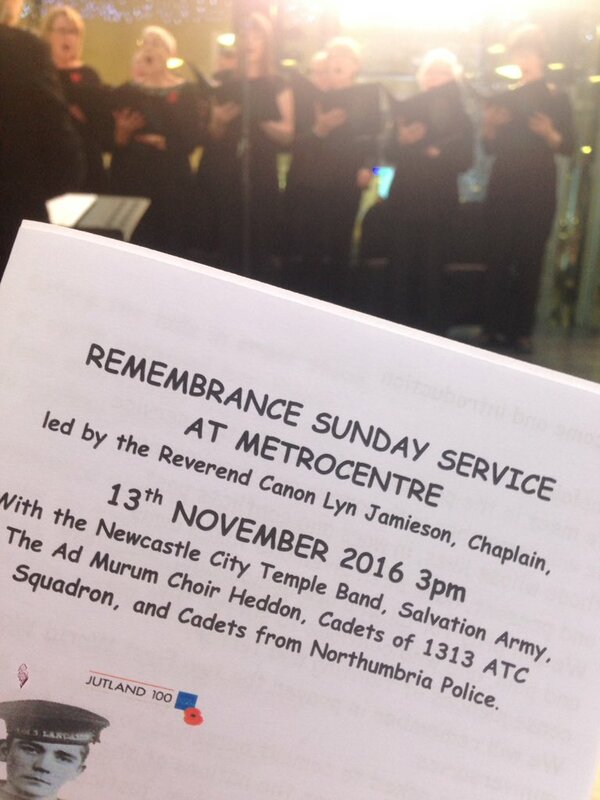 Remembrance Service 2016 - WE GREATLY ENJOYED PERFORMING FOR DANCE STUDENTS AT GATESHEAD COLLEGE ON 6TH FEBRUARY AND WATCHING A MESMERISING DANCE PIECE THEY HAD DEVISED. 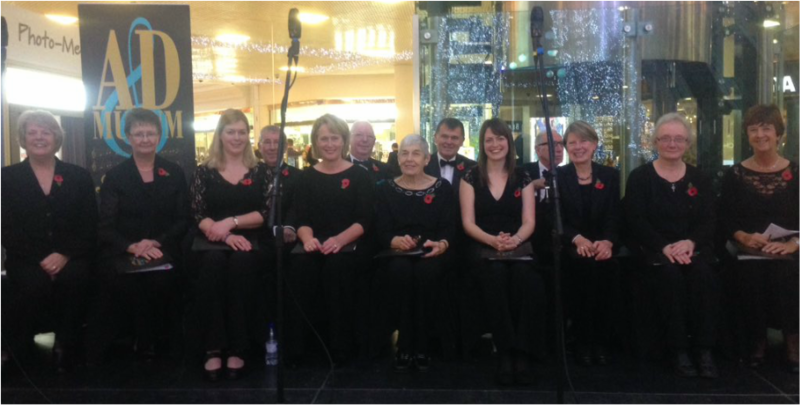 OUR PRACTICE FOR THIS SUMMER'S CONCERT ON JUNE 7TH IS GOING WELL AND WE LOOK FORWARD TO ENTERTAINING YOU THERE. 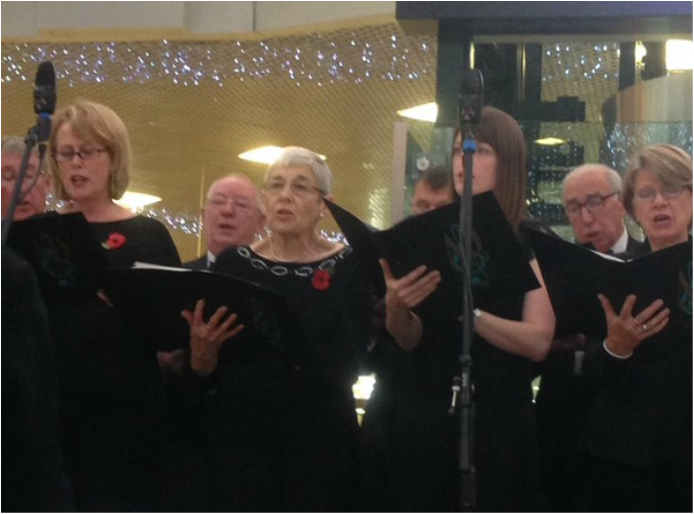 Proud to be invited and delighted to be joining in the Metro Centre's Remembrance Service for a second year. Enjoying giving of our best and hoping you were too.